Lymphatic system is one way system of human body leading the lymph from intercellular space to the blood, using lymph vessels. The lymphatic system takes care of the correct and full movement of all “emissions” and waste of our organism out of the body. Its main task is to protect the body against different pathologic actions and plays a key role in the immunity system of the body. It is also very important with the natural detoxification processes. 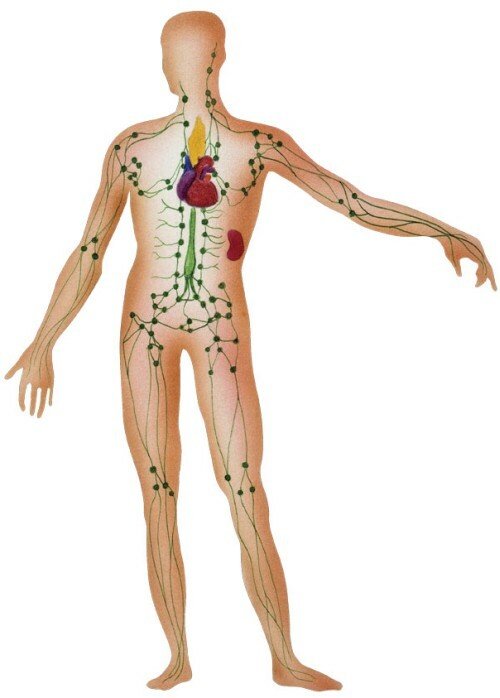 The system basically distributes the lymph; which is a limpid, non color liquid that is used as kind of body detergent. Lymph nodes are very important organs of the lymphatic system. Before manual or automatic lymph drainage (also called press therapy) it is very important to use special touches to lose and empty these lymph nodes. That will help to a secure movement of the lymph through these nodes. It is always necessary to lose lymph nodes on the neck, in the armpit (axilla), in the groins and the main lymph vessels on the inner sides of joints. The lymph takes out most of the waste of our metabolism, toxins, dead cells, tumor cells, bacteria, lymphocytes and proteins. It flows through lymph nodes which some of this stuff collect and destroys. The lymph nodes are highly occupied during the lymph drainage. They need to filter higher amount of lymph than usual. So if they are not correctly loosen and emptied, they can get blocked and they can slower or in some cases stop the lymphatic flow. This can create edemas; the body does not get rid of the waste and this can cause inflammations and the overall weakening of the immunity system. There are many devices for lymph drainage and the differences in between them are crucial. The press therapy needs to be applied professionally and loosing and emptying the lymph nodes is very important to prevent creation of edemas. The Ballancer lymph drainage system has a unique Pre-Therapy treatment program which loosens and empties the lymph nodes before every drainage. Ballancer PRO pants loosen the groins and inner sides of joint and the Ballancer PRO jacket takes care of the armpits (axilla). By this Ballancer protects every user from a nonprofessional drainage and relieves the operator from a lot of risk.